In an increasingly competitive knowledge-based global economy, Canada needs its brightest minds engaged on all fronts. To do that, we have to ensure access to higher learning for all Canadians. For too long, we have left too many behind. In Budget 2017, we saw some concrete steps in the right direction. In addition to support for skills and employment training and funding to improve housing conditions for Indigenous people off-reserve, the budget offers welcome funding that helps clear the way for more Indigenous students to access post-secondary education. However, more needs to be done. 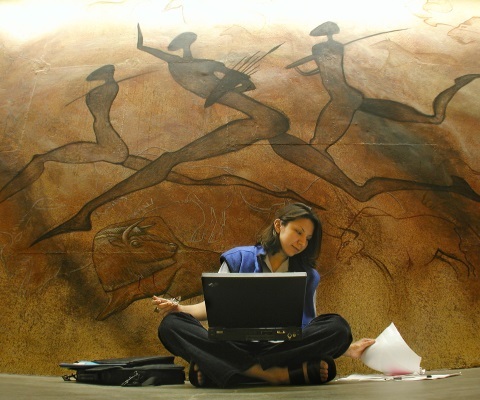 Indigenous peoples face significant barriers to post-secondary education. For example, moving to a new community without family support can be overwhelming. Many Indigenous students come from isolated and remote areas. They don’t have the same opportunities as their counterparts elsewhere. The environment is not equitable. As a result, far fewer First Nations, Métis and Inuit in Canada have a university degree than non-Indigenous Canadians. In fact, less than 10 per cent of Indigenous people between the ages of 25 and 64 in Canada have a degree. The national rate is more than 26 per cent. It is not only an issue of social justice, it is a major economic issue. 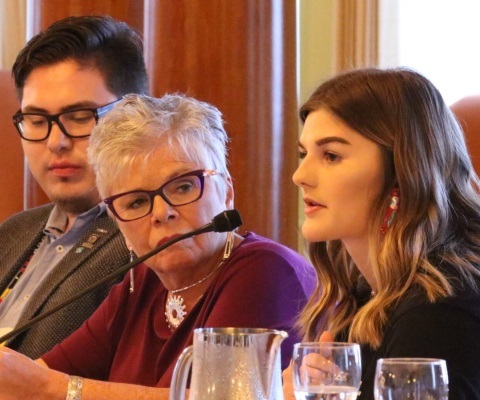 When government talks about building a prosperous future, it must remember that unlocking the potential of Indigenous youth is vital to that success. The recent budget commitment to a $90-million increase in funding to the Post-Secondary Student Support Program under Indigenous and Northern Affairs Canada will provide greater access to post-secondary education. The fund helps pay for tuition, books, travel support and living allowances. Changes to the Canada Student Loan Program will also make lifelong learning more accessible to all Canadians, including Indigenous students. There are many routes to higher education and these changes are going to make it easier for part-time learners, mature students and students who support families to go to university and college. Budget 2017 also includes $25 million in new funding to Indspire, an Indigenous-led organization that delivers scholarships and bursaries for First Nations and Inuit students. In 2015-2016, Indspire awarded 3,792 bursaries and scholarships. 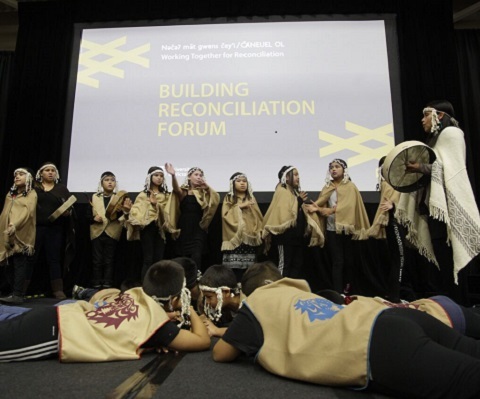 Education is the key to reconciliation and Canada’s universities are committed to addressing the gaps in the system, and to helping more Indigenous students achieve their potential through education. Today, 69 per cent of Canadian universities offer transition programs including outreach, academic support and mentorship. About 86 per cent offer targeted support services, including academic counselling and peer mentorship. 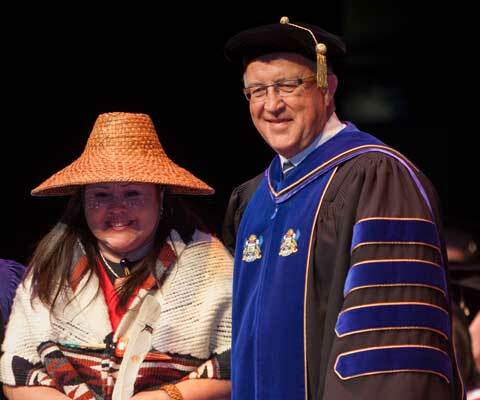 Vancouver Island University and other institutions across Canada have Elders-in-residence who provide counselling, support and guidance to all students. VIU’s Elders are also active in teaching traditional protocols and cross-cultural sharing. VIU’s First Nations Stewardship Technicians Training Program is custom-designed to give students applied skills and knowledge required to work for a Nation in the growing field of resource stewardship. The program is among the 233 undergraduate programs and 62 graduate level programs offered at Canadian universities with a focus on Indigenous issues or that are specifically designed for Indigenous students. We know there is more to be done and we must guard against complacency. Earlier support for the kindergarten to Grade 12 system has to be boosted again. Young Indigenous students need to see that there is a place for them in higher education, that they can achieve and that they will succeed. When first-generation post-secondary students graduate, their successes have a ripple effect on their families and their communities. As a country, we need the talent of all of our young people. We need to ensure that Indigenous youth are full participants in Canadian society. And it’s everyone’s business to ensure that Indigenous youth have access to economic and employment opportunities. The path won’t be cleared overnight. Universities are engaged with partners in Indigenous communities, business and government to determine next steps. As partners, we call on all parties to continue work to close the education gap and advance reconciliation through education.